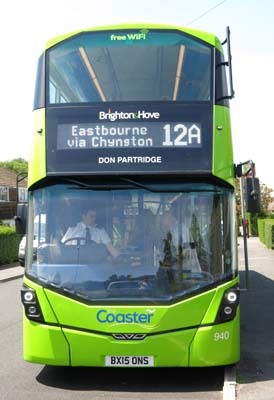 Connections with Brighton and Hove : Don Partridge was a busker who gained international fame in the 1960s with his song Rosie. Born in 1941, he had a talent for singing wistful and poignant songs. He was discovered while busking in London. He followed Rosie with several other hit songs including Blue Eyes and won the Ivor Novello award before his popularity faded. He was known as the king of the buskers. After many years travelling around the world, and for a while raising a family in Sweden, he came to live in Seaford where he went back to busking. He was a familiar figure in Seaford's main shopping street, Broad Street, as well as in Newhaven. Occasionally he would appear on the streets of Brighton. He often busked as a one-man band. Attempts were made to revive his musical career, particularly by the Shoreham-based guitarist Richard Durrant who helped him produce an album. But he never regained the reputation of the past. Partridge moved to Peacehaven and died from a heart attack in 2010. Buskers from all over the world attended a wake in Seaford which lasted seven hours. 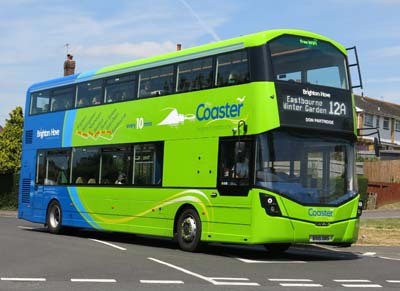 940 Mercedes Streetdeck - carried name since delivery in April 2015 on Coaster Route 12.